Italian photographer Giuseppe DE FRANCESCO, fascinated by the masterpiece of Utagawa Hiroshige “One hundred famous views of Edo”, completed a project called “Tokyo Hyaku” as a homage work. In this exhibition he explains the world of “Edo Hyaku” from his own viewpoint and photographs of contemporary Tokyo. Along with “Tokyo Hyaku” photographs, the brilliant colors of the reproductions brought to life in the present day by the carvers and printers of the Adachi Institute of Woodcut Prints who have mastered the advanced production techniques of Ukiyo-e that have continued from the Edo period, are displayed. Carefully selected masterpieces from the Ukiyo-e print “Edo Hyaku” are revived in this collection. 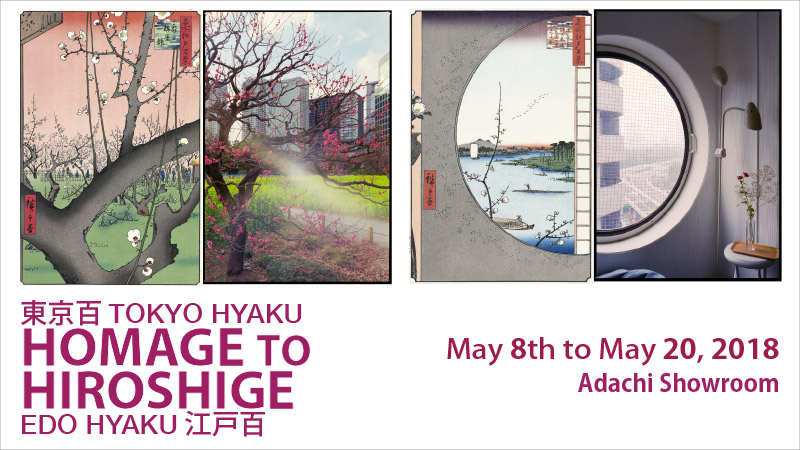 Through two diﬀerent expressions, the exhibition oﬀers the charm of Hiroshige’s “One hundred famous views of Edo” again, and invites to enjoy a journey through the city of “Edo＆Tokyo” that attracts people transcending the times. 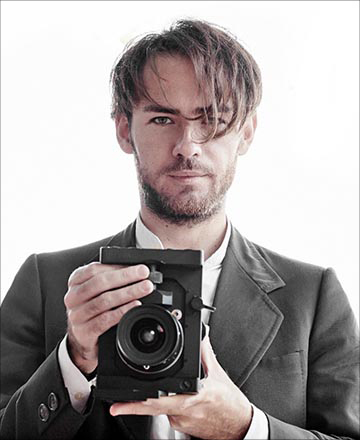 Born in Milan, Italy in 1982, graduated at the Politecnico di Milano faculty of design. Giuseppe De Francesco has been collaborating with important Italian photographers in fashion and architecture industries before starting his career. He has been living in diﬀerent cities and currently working worldwide for his personal researches and　commercial assignments.